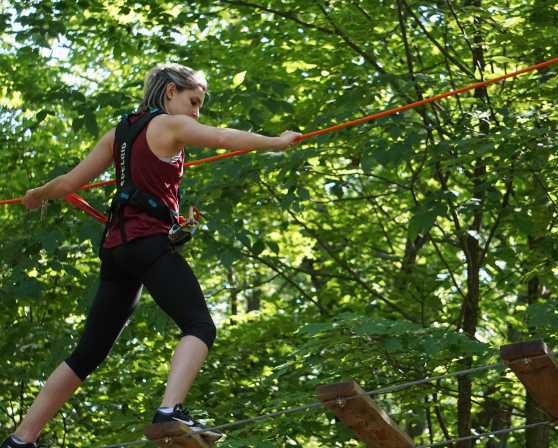 Way, way up above your head, there’s an obstacle course where we throw everything at you: log ladders, ziplines, cargo nets, rope swings, tightropes, swinging logs, wobbly bridges. Dozens of suspended surprises are up there, becoming more challenging the higher you get. But stick with it, you’ll learn as you go. 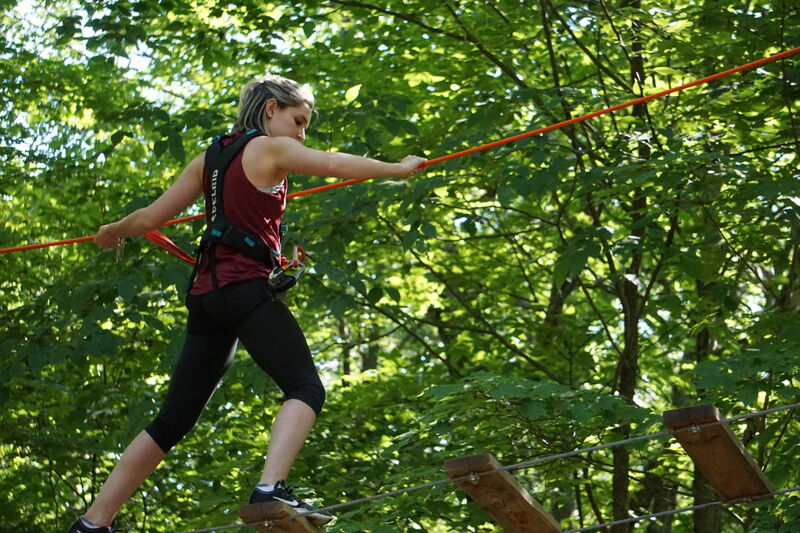 Our Adventure Course games are “a-ok” for humans who are aren’t always gung-ho about heights, because everyone needs somewhere to let their fear out to play.